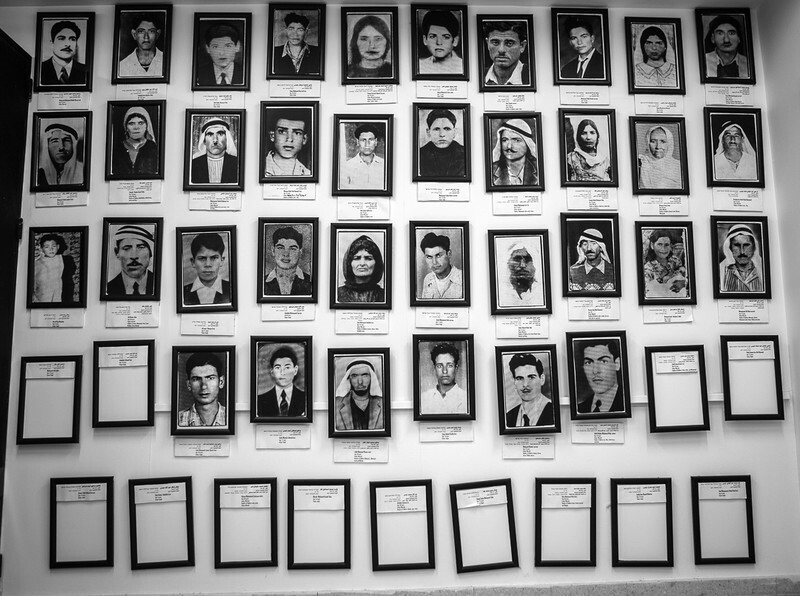 The Kahan Commission was chaired by the Israeli President of the Supreme Court, Yitzhak Kahan. Its other two members were Israeli Supreme Court Judge Aharon Barak and Major general (res.) Yona Efrat. The Israeli Defense Minister Ariel Sharon was found to bear personal responsibility. 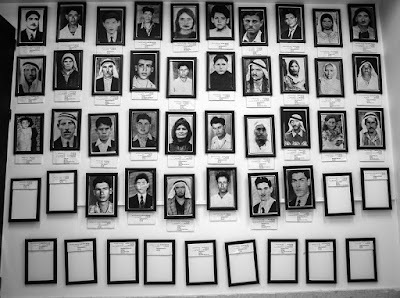 Sharon's negligence in protecting the civilian population of Beirut, which had come under Israeli control, resulted in a recommendation that Sharon be dismissed as Defense Minister. Although Sharon grudgingly resigned as Defense Minister, he remained in the Cabinet as a Minister without Portfolio. Years later, Sharon would be elected Israel's Prime Minister. Aderet's article offers but a glimpse into the legal proceedings surrounding Kafr Qassem. One of the first people to document those proceedings was attorney Sabri Jiryis in his landmark book, The Arabs in Israel, published in Haifa in Hebrew in 1966. A fuller account of the testimonies recorded by the Israeli commanders and soldiers who took part in this killing spree can be found printed here [with the author’s permission] in English. Warning: it’s a disturbing read. 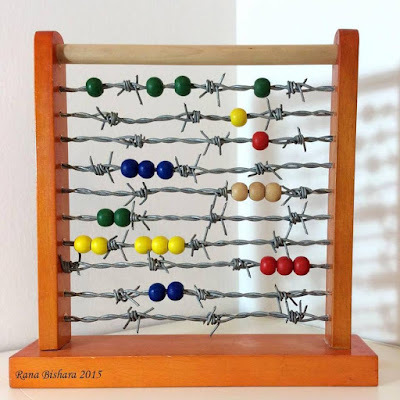 On display at the Bethlehem Museum, the abacusis a simple, but yet piercing piece of art reflecting what Palestinian kids aregoing through under military occupation. Palestinian Artist Rana Bishara fromTarshiha in the Western Galilee. (October, 2016) Printed with permission ofartist.